Your guide will pick you up at 8h30 AM at your hotel and begin your tour by going through the Hajar Mountains. This tour provides a good insight on Omani history and glorious heritage. Preciously restored, each Fort has its own story. They were first built for military defense but were also used for social and community gatherings. Before reaching Nizwa, you will stop to see the old village of Birkat Al Mawz, walking through the plantation and small streets with old crumbling houses. You will then continue to Nizwa, who was once the capital of Oman, go through the traditional and craft Souk where you can buy some souvenirs before visiting the Fort of Nizwa with its large circular tower and imagine life inside the Fort in the 17th Century. The breathtaking view from the tower will show you how big the plantation is. 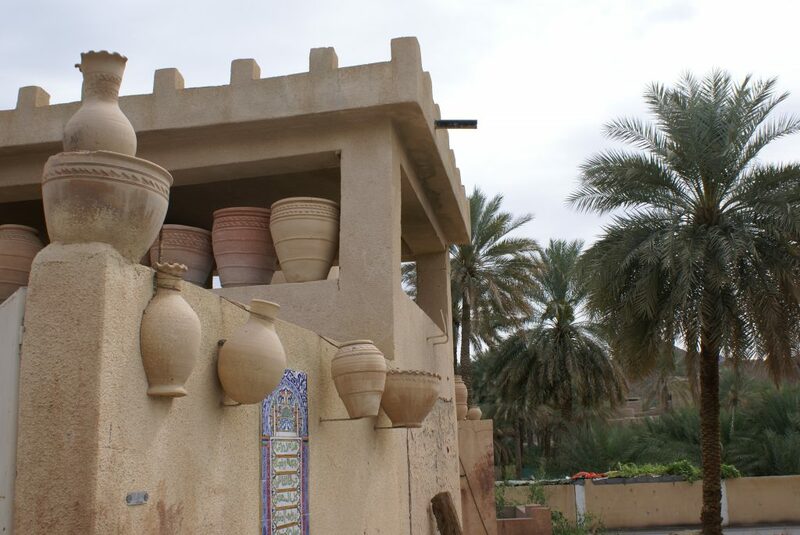 Continue your journey to Bahla, a charming little town surrounded by an old 12 km long wall; visit the place where they make pottery and also the old fort of Bahla, one of the oldest in Oman. Continue to Jabrin, for a visit of the Fort which was once the home of the Imam and was built to be a Palace at first, before being used for military purposes. The tomb of the Imam is still located in the Fort. Jabrin Castle is also believed to be one of the first schools in Oman.